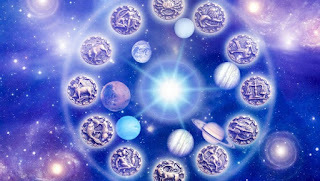 WANNA READ MORE ABOUT ASTROLOGY? We are entering a very peculiar week in terms of planetary movements (October 08/15). Since the end of September Jupiter, the giant planet in our system, is conjunct the Sun in Libra and now Mercury is joining them. This aspect is amplifying every issue regarding relationships and our place in the world. We may feel the urge to develop an attitude as centered on ourselves as possible, an inner position which may put aside pride, curbing the infinite whims of the Inner Child. It's time to grow up and to stop pointing fingers towards the others. The Sun-Jupiter-Mercury conjunction in Libra (birth of a constructive dialogue between people) is giving shape to a square (an aspect of inner tension) involving Mars in Capricorn (underground force pushing on usually quiet emotional energies). The planet of Fire, of action and movement is getting closer to Pluto (the inexorability of life cycles, initiation steps we cannot leave behind because now we can only go forward. No more delays). All this becomes particularly strong on October 08, 09 and 10, when the Moon joins Mars and Pluto. Our satellite symbolizes our individual unconscious. In this position the Moon is holding us right there where it hurts, whatever it may be, until we are able to overcome the pain by accepting it, accepting to grow up, to take our own responsibility for what actually happened, for what we suffered. This is the chance to make peace with Life, each of us in our own special way. This is the chance to overcome the anger unleashed by fear when we had to face the magnitude of our pain, part of those experiences that left us naked in the street. Yes, it is very difficult, but even if anger and frustration are shaking us, it is necessary to get straight to our core, our heart, breathing in and out, slowly. We are learning not to get lost amidst the storm. This is what is happening, this is the gift. We are grounding, and our roots are spreading towards the heart of our Mother the Earth. Finally peace may come. Once we accept the pain and let it through us without resistance, breathing in and out inside every sensation, we allow pain to do its job: we become wiser and brighter, centered and sensitive. This is the coming of age we can get at thanks to the recent 999 Portals of September. It is the real opening of the heart, because there is no other way to ride on. Even if we wish we got there in many other ways, without necessarily passing through all that nakedness, yet now it is possible to widen our vision, looking at ourselves from beyond any sense of identification with a human body or with a life that is still full of fear. This is a very delicate moment. We are stepping out from old mind programs structured on control. The paradigm has changed during the month of September. Now we can feel we are changing reactions and choices regarding life. So let us take a deep breath and feel the inner and outer space getting wider and wider. There we can fly and get to know our eternity. If you want to go deeper into the study of your Soul path, pls send me your birth date and time and place at ashtalan@me.com. I will prepare a detailled report that you will receive within 3 days at your e-mail address.